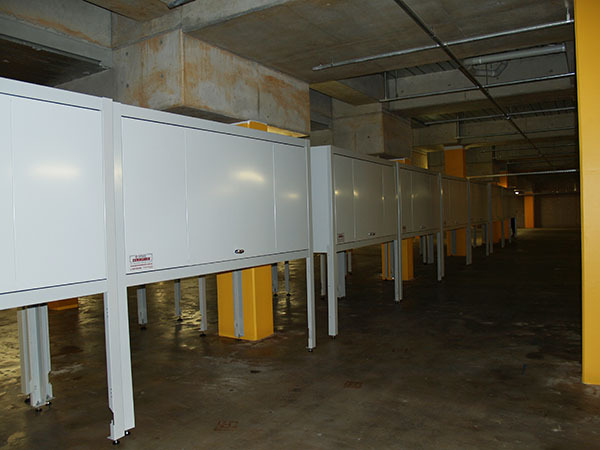 Space Commander™ is the perfect storage solution for new and existing multi dwelling residences. 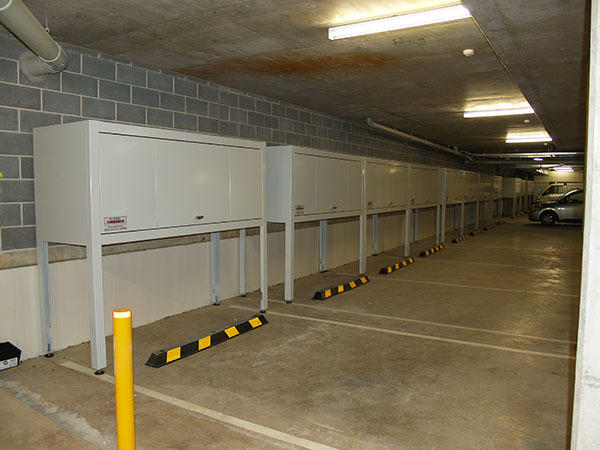 We have extensive experience in working with Australia’s major construction companies, building managers, builders, architects, specifiers, property developers, strata managers and owners’ corporations to meet residential storage requirements within planning and building codes and in a cost effective manner. 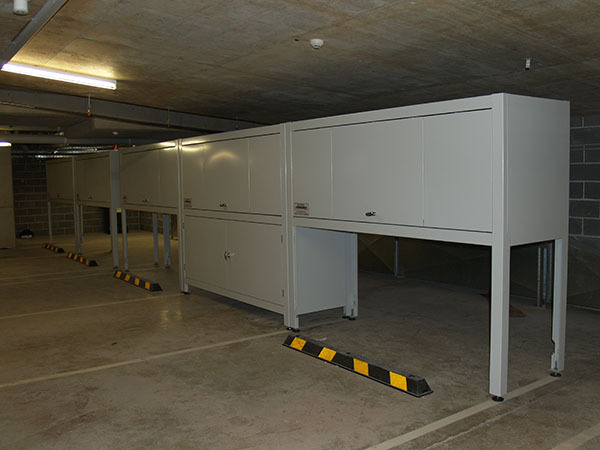 Ensure that all residents/ car spaces can have a storage unit regardless of any space constraints.To discuss how cost effective our storage units are, and the ease with which Space Commander can meet your project constraints, call Space Commander today on 1800 006 090 for a customised proposal for your apartment building. Since our inception in 2004 we have completed many large scale projects across Australia. We have the proven logistics expertise to work within your construction schedule, supplying and installing arguably the market leading product on time and to your budget. 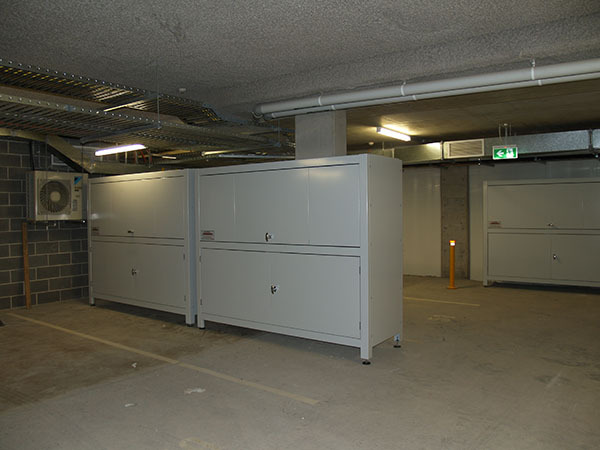 Space Commander were engaged by the builders, Hutchinson Builders, to supply and install 67 Over Bonnet storage units for the basement car park of this high profile luxury apartment development across the road from Bondi Beach in Sydney. Each new resident will have the added convenience of up to 3.2 cubic metres to store the surfboards, body boards, beach umbrellas, bikes and golf clubs that are such a part of beachside living in Sydney. 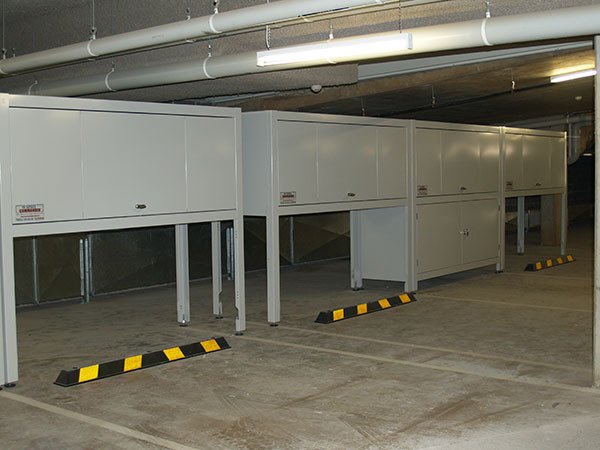 Given the contemporary colour palette that was being used throughout the building, Space Commander was asked to supply the units in a specific powder-coated colour. The result is a stunning textured black that creates a neat, tidy and modern basement garage.